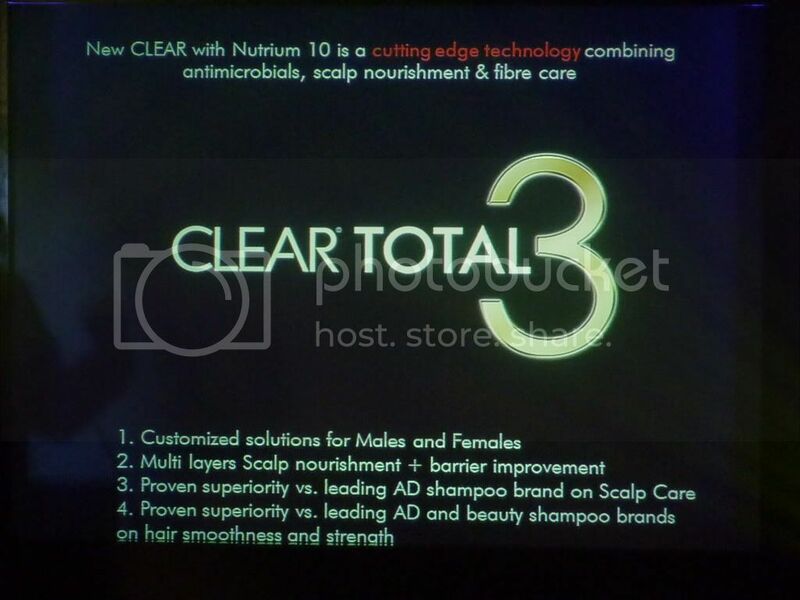 Unilever Philippines has introduced the new CLEAR Total 3 shampoo, highlighting the revolutionary Nutrium 10 and Pro Nutrium 10. The launch took place at Midas Hotel turned Clear Paris Institute last May 12, which was attended by media, celebrities, and bloggers alike. Before the program started, guests were treated to a free Hair Analysis, where a series of questions were asked, followed by an actual hair scanning to assess the situation of the hair and scalp. I got a result of 7/10, which means my hair is 70% healthy. As a recommendation, they told me to use the CLEAR Men Anti-Hair Fall variant to lessen hair fall, since we have a genetic history of balding. There was also a section in the Institute where friends from CLEAR explained the ingredients of the shampoo, subtly comparing CLEAR to other brands. We were all delighted to know that the fragrance of the new CLEAR Total 3 is patterned from Escada Magnetism (for women) and Clinique Happy (for men). On to the program proper, it was hosted by celebrity super models Bianca Valerio and Borgy Manotoc (pictured below, center), who were both very witty and excited for the revelation of Unilever's product. Also present in the event were CLEAR Brand Manager Kellda Centeno (pictured below, left) and Global R&D Director Dr David Birtwistle (pictured below, right) who gave us a brief overview of the shampoo and the science behind the making of the breakthrough product. The new CLEAR contains a synergistic complex of 10 vitamins and mineral nutrients called Nutrium 10. CLEAR nourishes the scalp 3 layers deep for TOTAL 3: no dandruff, no dryness and itch, as well as less hair fall. 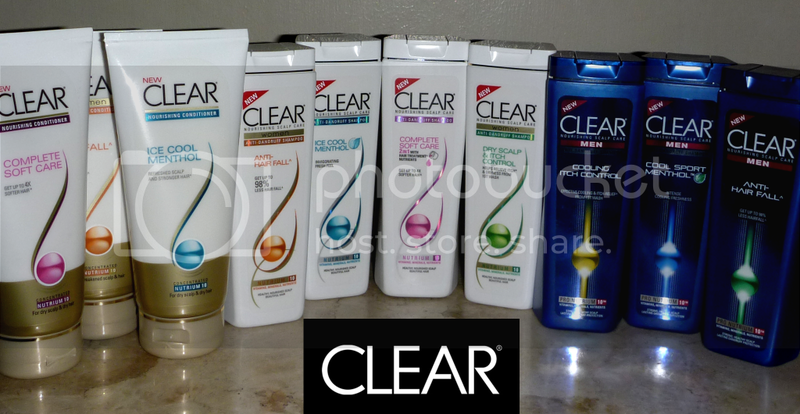 What makes CLEAR Total 3 better than other brands? 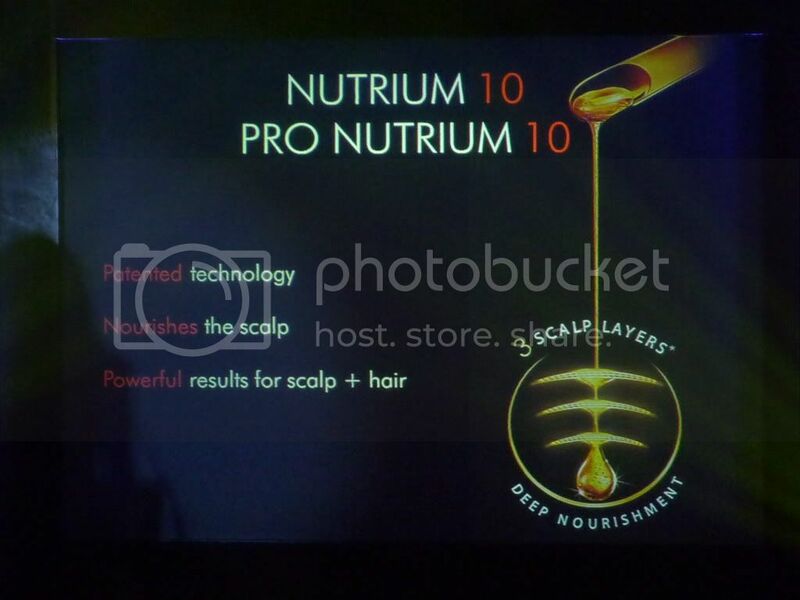 It uses a cutting edge technology combining antimicrobials, scalp nourishment and fibre care. Aside from those facts, what's even cooler is that it comes with an edgier bottle design with more space for more contents. It uses lesser plastic, which means it utilizes fewer trees as well. As if the facts above are not yet enough, perhaps CLEAR's endorsers would be a good start to consider using one. 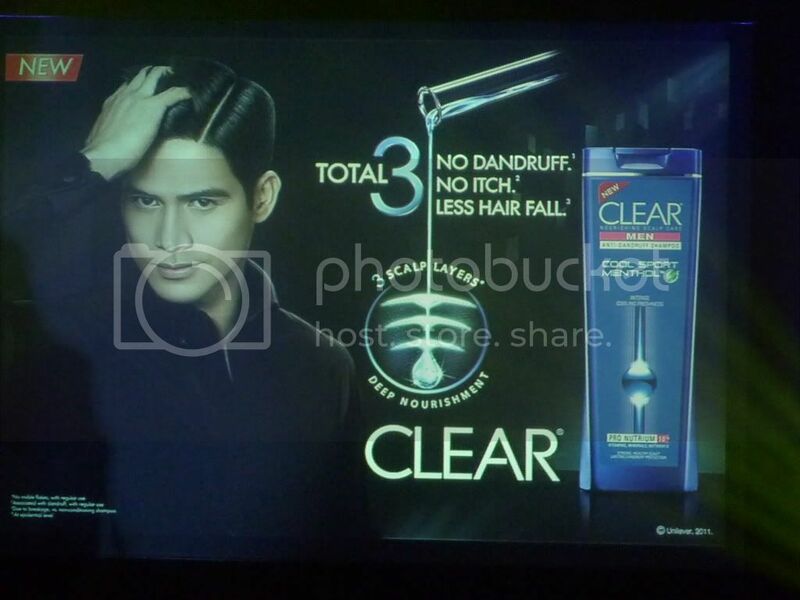 Gracing the launch were CLEAR's celebrity ambassadors Bea Alonzo and Piolo Pascual, who were later on interviewed by the guests with questions ranging from the shampoo to their personal lives. Having all those being said, Unilever has ultimately given us many good reasons on why both men and women should start using CLEAR Total 3. I personally am a Clear Men user (no BS or KIA), so I felt very privileged to have been invited to the launch. Thanks to Bridges and Unilever for the invite! how can i determine if it is really effective? I purchased the Ultra Shea Clear Scalp & Hair Therapy and the itch, and dryness was gone. I love this product. My hair is also softer.